German sales catalog for the 1978 Alfasud Sprint printed in Italy. 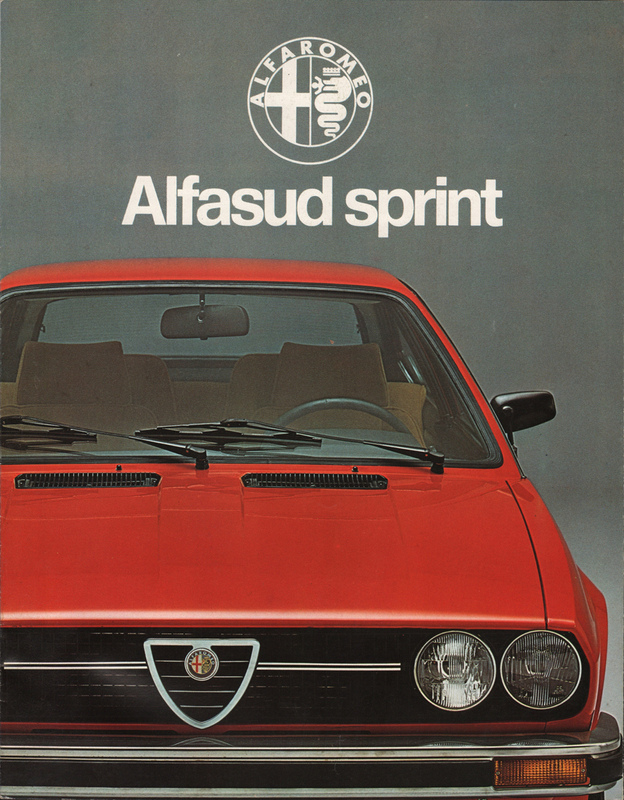 A front, grille view of a Signal Red Alfasud Sprint is featured on the front and inside fold-out poster. Brochures are presented for research use only. Company marks, emblems, and designs are trademarks and/or service marks of Alfa-Romeo.